The Church and the St Asaph Cathedral make up the Elwy Mission Area; and as with other mission areas this has created not only a shared team of ministers, clerical and lay, but has provided opportunities to work together in shared efforts, determination and visions, and most importantly to take forward God’s mission. To allow us to tirelessly proceed in our mission let us truly abide with the expression that Jesus used in Matthew 10.8 – ‘Freely you have received; freely give’. The Very Revd Nigel Williams was installed as Dean of St Asaph Cathedral on Saturday 17 September 2011. A fluent Welsh speaker, Nigel was born in St Asaph and brought up in Llansannan before training for the priesthood at St Michael’s College, Llandaff and the University of Wales, Cardiff. He was ordained in St Asaph Cathedral in the mid 1990s and prior to his ministry in Colwyn Bay served in the parishes of Denbigh and Nantglyn, and Llanrwst and Llanddoged. Between 2004 and 2009 he served as Area Dean of Rhos. 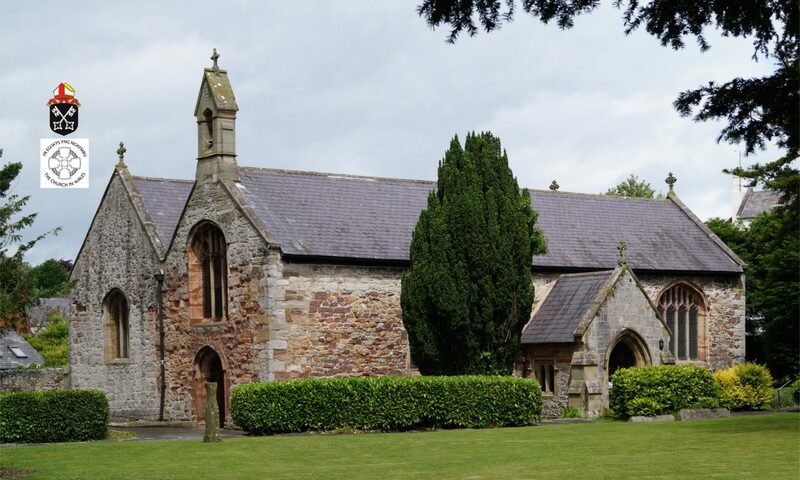 In May 2015, after three years as Vicar of Mold, the Reverend Rex Matthias moved to St Asaph to serve as Canon Precentor in the Cathedral and Vicar in the parish. Following his ordination in 1994 Rex served as Curate of Llandrillo yn Rhos and then as Rector of Petryal and Betws yn Rhos before moving to South Wales as Priest-in-Charge of St Julian’s Church, Newport. He returned to the diocese in 2012 to be Vicar of Mold before joining us here at St Asaph. The Revd Michael Balkwill was ordained in St Asaph Cathedral in 1991. Having had a distinguished parish ministry in the diocese whilst serving for 14 years in Montgomeryshire, including as Area Dean of Llanfyllin, Michael returned to St Asaph in 2011 to take up the post of Bishop’s Chaplain. Manon, a fluent Welsh speaker, was ordained in 1994 and was among the first women in Wales to be ordained priest in 1997. She was curate in Llandudno before becoming incumbent of Bethesda (Glanogwen), Llanllechid, Mynydd Llandegai and later Pentir. Whilst ministering in the Ogwen Valley she also served as Diocesan Director of Ordinands for Bangor diocese. She has served in St Asaph Diocese since 2005, and has held a variety of training and education roles including Director of Life-long Learning, St Asaph Tutor for St Michael’s College, Director of Exploring Faith and was until 2015 the Rector of Llandulas and Llysfaen. Manon is the Diocesan’ Director of Ministry and also Hon. Canon of St Asaph Cathedral. A fluent Welsh speaker, Sally is a licensed lay minister and currently an ordinand in the Church in Wales. She regularly helps with services and preaches at both the parish church and at the cathedral, and provides additional assistance through her teaching and pastoral work. Alongside this, she has a busy ministry with the Outreach Team of St Beuno’s Jesuit Spirituality Centre, Tremeirchion, and as a licensed spiritual director. She has a long-standing interest in music and Christian liturgy in both the medieval and contemporary church, especially in Wales.